Momentum is the last product I designed and worked on at Cakewalk. We designed this from the ground up to be a fluid platform to capture ideas and inspiration on the go. All you need is a smartphone, tablet or PC and you can capture up to four tracks of audio wherever you might be. Recorded audio is automatically synced to the momentum cloud allowing you to seamlessly sync all your devices. You can record something on your phone, pick up the same idea on an iPad or laptop, or even transfer all the tracks into the DAW of your choice via the momentum plugin. The transfer process is bi-directional so you can quickly transfer stems or backing tracks from a DAW or any other audio program to momentum via simple drag and drop at any time. Momentum is a fantastic practice tool. Here is a video showing how I use it, playing Coltrane’s 26-2. I recorded this on an iPad with Momentum. The backing tracks were transferred from SONAR via simple drag and drop. So I got a new Surface Dial and did some experiments this evening. Combined with the pen its really cool! Check out this video to see how usable it is with SONAR. I have a Surface Pro 4 which doesn’t support the surface on screen placement, but besides that it works fine. In the test I’m just binding keyboard shortcuts to the Dial. SONAR doesn’t yet natively support the Dial but based on this I’m definitely considering implementing this. Build 2017 was a blast – so much technology to absorb! It was an honor to be the only DAW vendor to present some of the great strides we have made in SONAR to take advantage of the best in Windows technology. There were two presentations of this session. A bit nerve wracking doing a live demo with Bluetooth on a floor with thousands of people with BT devices 🙂 Fortunately everything went really smooth – BT MIDI performed flawlessly and I was able to connect from onstage and run at a buffer latency of less than 10 msec. It was very responsive. Pete let some people in the audience try playing the keyboard (a Korg Nanostudio) and everyone was impressed with how responsive playback was, even 20 feet away from the stage. I even did a live walk through of the Bluetooth UWP MIDI stack from the SONAR code. The audience enjoyed seeing breakpoints being hit in response to playing notes on the keyboard. Nerd alert! I also had a spot at the Solutions Spotlight at the event – kind of like NAMM for nerds! We had a small booth where we were showing SONAR and the technology and were available to answer questions. In the solutions spotlight session I paired a Jamstik controller in addition to the NanoStudio and it showed up as a second MIDI device. Both the keyboard and Jamstik were able to trigger different tracks without a problem. It was great running into so many people from Microsoft and other tech companies like Adobe and Google who had used Cakewalk software. A heads up for anyone attending the Microsoft Build conference in Seattle this year. Cakewalk and Microsoft are doing a tech talk demonstrating how Win32 applications can take advantage of some of the advancements on the Windows 10 platform. This is the only presentation at Build that focuses on media, audio and MIDI. There are two tech talks scheduled, on Thursday 5/11 2:30PM (Tech Talk C room) and Friday 5/12 10:30AM (Tech Talk C room). At the talks we’ll be doing a live debug session of SONAR showing code integrating UWP MIDI. With the proliferation of Bluetooth enabled devices, IoT (internet of things), wireless technology is one of the hottest trends today with wide-reaching applications to audio, automotive, medical and other industries. Gibson R&D is actively involved with wireless technology both in the hardware and software space and a member of the Bluetooth SIG, responsible for the development and evolution of the Bluetooth specification. As a Gibson Brand, Cakewalk is committed to embracing the advantages of wireless technology. This year, we’re excited to integrate wireless MIDI technology into all versions of SONAR – our flagship recording, editing, and mixing software. In the 2017.03 release of SONAR we worked closely with Microsoft to add support for Bluetooth LE MIDI devices via the new UWP MIDI API. In November of 2016, we added support for Microsoft’s new low-latency WASAPI shared mode API’s, which including support for Bluetooth audio devices via WASAPI. With these enhancements, SONAR now has built-in support for wireless audio and MIDI via Bluetooth. This week Microsoft debuts its “Creators Update,” the second major update to Windows 10. You can read more about what’s in this update on the Microsoft blog. To check it out, Jon Sasor, Quality Assurance Engineer at Cakewalk, took on the task of doing some benchmarks to test performance in Game Mode with the latest version of SONAR. Jon performed the test on a brand new Dell PC (Intel® Core™ i7-6920HQ @ 2.90 GHz with 16GB RAM) and he compared audio playback performance with Game Mode on and off. Executive Roundtable: Does Music Software Have a Future? 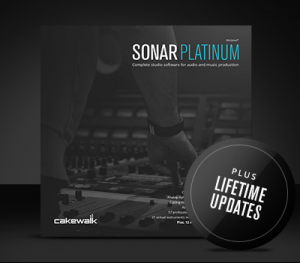 With the introduction of Lifetime Updates for SONAR Platinum, there have been many theories as to why Cakewalk would take such a bold move. For us it’s simple—it’s better for customers, it’s better for us, and we believe this way of doing business is the future, so we’re embracing it today. Some history: In the past (pre 2015), we followed a more traditional annual upgrade cycle where we released a single version of SONAR each year. This model was flawed on many levels, both for developers and end users. As developers, we’re under extreme pressure to finish a product by a certain date to meet a revenue goal – often regardless of whether it’s ready or not. Adding a lot of features to a product in a short cycle can create problems even skilled QA teams and beta testers won’t find. Furthermore, end users have to try and learn a huge amount of information at once—which is much less efficient than learning features at one’s own pace over time. On July 29, at 12 AM EST, Microsoft started rolling out Windows 10 upgrades. If you signed up for the upgrade earlier, you may have already received a notification. If not and you absolutely can’t wait, Tech savvy users can use the Media Creation Tool to install immediately on one or multiple devices. It’s been quite a year for all of us at Cakewalk. Not only did we build our most stable initial release of SONAR ever and fold in multiple features and workflow updates, but we also built the infrastructure for our new Membership program from the ground up. This framework lets us break out of the monolithic “waterfall” model of annual updates and do smaller but more frequent updates. This is very exciting for developers, because we can be more responsive and update our software without the previous release management overhead. Our users have wanted more frequent updates as well, so this is a major achievement for us. The SONAR community has already noticed the tangible improvements in the performance and stability of our latest SONAR release. In this article I’ll cover some of the “under the hood” work that went into building the new SONAR. If you’re not familiar with the latest additions, you can get started by reading about all the new features here. I’d also like to mention that this would not have been possible without your support. All of us at Cakewalk feel very fortunate to have such an active, engaged user base that inspires us to create continued improvements and enhancements. We are very excited about what’s planned for the year ahead, but meanwhile, here’s what we’ve been up to in the past year. SONAR X3 has numerous enhancements and updates to the VST engine, including rich support for the VST3 specification. This article is intended primarily for VST plugin developers to gain a better understanding of the features supported by SONAR and to write plugins that integrate better with SONAR. While the VST3 documentation covers typical information for plugin developers, it does not explain plugin to host integration in much detail. This article attempts to bridge that gap and explain some of the VST3 specific features are implemented in SONAR. 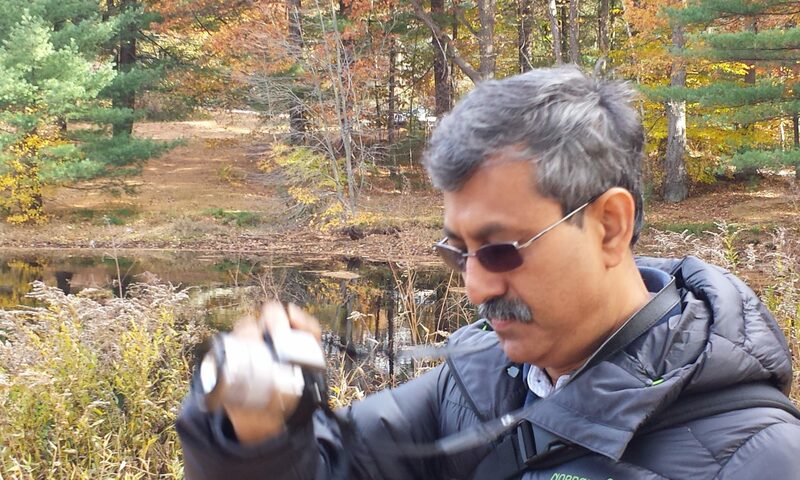 Please also see this article that is more intended for end users. For plugin vendors who have a large base of VST2 plugins and wish to provide a smooth migration path to VST3, its recommended to implement support for automatic migration of a VST2 plugin saved in a prior project to its VST3 equivalent. SONAR X3 is packed with enhancements and updates to the VST engine, including a brand new VST scanner with industry leading automatic background scanning, support for the VST3 plugin format and an updated plugin browser that supports plugin categorization. Many of the changes apply equally to VST2 and VST3 plugins. It was back in 2005 that Cakewalk first added Roland V-Vocal to SONAR 5 for integrated audio stretching and pitch correction. While VVocal was an exceptional tool in its time and is still used by many for its ability to do fine editing of a vocal performance, the industry has advanced since then and companies like Celemony with their dedicated focus in this area have made great strides. A couple of years ago Celemony released their ARA SDK to integrate Melodyne integration into a DAW host application. Since VVocal’s integration in SONAR is similar in principle to what ARA does, it was natural for us to consider integrating ARA technology into SONAR. 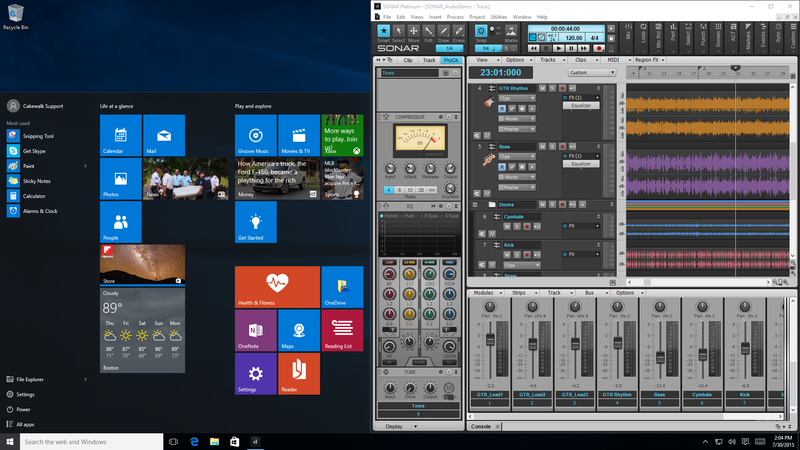 A few months ago I wrote an article about Windows 8 and how it applied to music applications like SONAR. In this article I will mainly cover what’s changed or new in our Windows 8 support as of SONAR X2a. ~ We shipped SONAR X2a, our brand new Windows 8 native version of SONAR. This was exhaustively tested with Windows 8 and specifically takes advantage of new Windows 8 specific features like multi-touch. More about this below. ~ There is a large proliferation of Windows 8 PC’s available in the consumer channel, including several Intel Ultrabooks, hybrid’s and convertibles, laptops that can switch to tablets etc. Microsoft’s surface RT is also now available, although the much awaited Surface Pro (the version that can actually run classic Windows desktop applications) is yet to be released. There are also several interesting mobile solutions scheduled for early 2013. Its definitely an exciting time for users interested in mobile music platforms, since many of these have powerful Intel CPU’s and specs that are easily capable of running DAW software. It can also be confusing – there are so many products out there that you will have to do your research and look for something that fits your needs best. ~ Metro, the new application model from Microsoft which runs on both Intel and ARM CPU’s, is no longer called Metro. Perhaps not the most logical name, but the new official name for Metro Style Apps is “Windows Store Apps”. Windows Store Apps are not the same as Desktop Apps – they have somewhat limited capabilities, at least from a DAW user standpoint. ~ Microsoft released its its latest Visual Studio development platform for building Windows applications. Applications like SONAR X2a built for Windows 8 typically use this platform for application development. SONAR X2a is Cakewalk’s latest update for SONAR X2. While SONAR X2 and X1 are compatible with Windows 8, SONAR X2a is the first DAW release specifically designed to take advantage of new Windows 8 specific features such as multi-touch support. X2a was also built with the latest development tools and Windows SDK’s, bringing over various fixes from Microsoft. X2a is still fully compatible with Windows 7 and will continue to install on Vista (though not officially supported anymore). There has been a large amount of interest and speculation about Windows 8, Microsoft’s latest OS scheduled for release in late 2012. Windows 8 is one of the most ambitious OS releases from Microsoft since Windows 95, and is the first OS that attempts to unify the desktop and mobile user experience with multitouch support baked in across the board. A lot of attention in the media has been devoted to the new user interface and the brand new application model called Metro aka WinRT. Understandable, since changes to UI tend to attract the most attention in any software product. 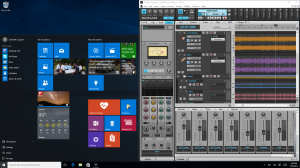 Cakewalk support rep Dean ‘The New Guy’ Capper recently spent some time with the Windows 8 Consumer Preview and SONAR X1 Producer Expanded. 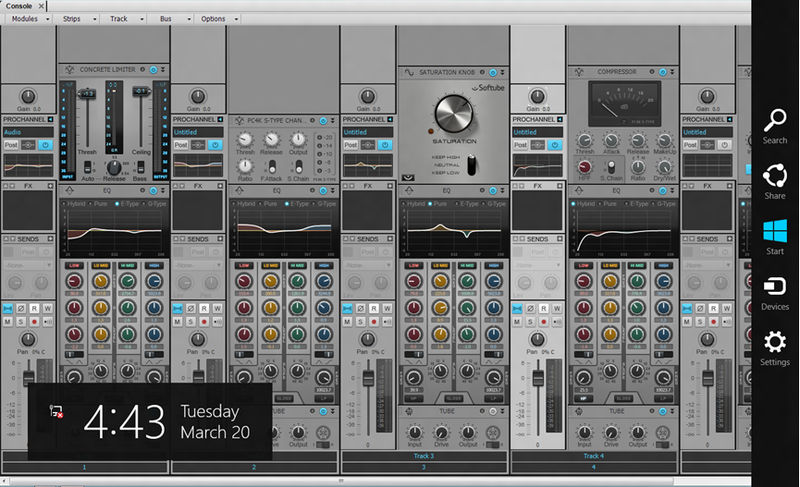 Please check out our brand new #cakewalk tutorial section in our new discussion forums here. Lots of good videos on popular topics are linked there and being frequently added to. Honestly I think band in a box does a way more musical job of automatic composition without ai or machine learning. COPYRIGHT © 1997-2017 NOEL BORTHWICK. ALL RIGHTS RESERVED. 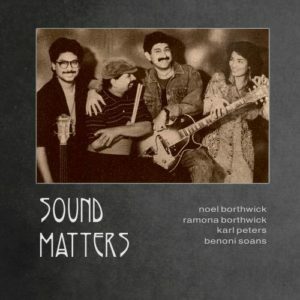 SITE BY LEITMOTIF.